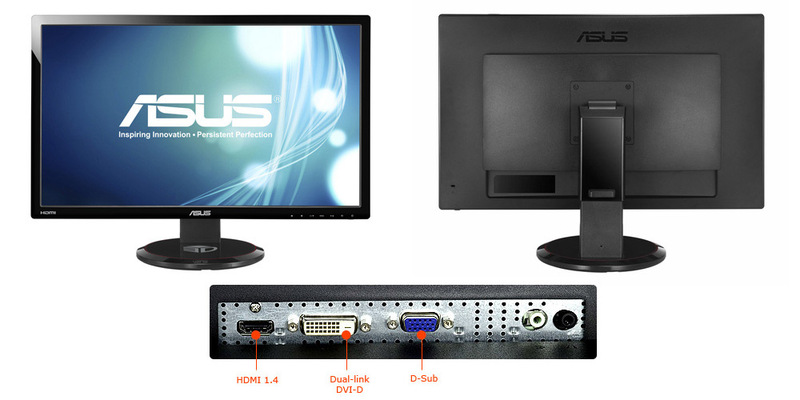 The BenQ XL2420T and BenQ XL2420TX are the first 3D Vision-ready 3D LCD monitors that come with support for 3D over DisplayPort 1.1, so you actually have an alternative to using the Dual-Link DVI interface they they are also equipped with for 3D. You should have in mind however that there are some specific limitations and requirements when using 3D Vision over DisplayPort with these displays and you should be well aware of these if you plan on purchasing any of these two displays for use in stereo 3D and that goes not only regarding the use of DP. The BenQ XL2420T/TX are still the only 24-inch 3D Vision-ready monitors that support the new 3D Lightboost technology for providing increased level of brightness when in stereo 3D mode, the other two alternatives are from Asus and Acer, but they are 27-inch models and they do not feature DisplayPort connectivity. The support for 3D vision over display port has been introduced in the R290 video drivers from Nvidia and more specifically in the 290.36 Beta drivers, so it will not work with older drivers. The BenQ XL2420T is the more affordable version that does not come bundled with 3D Vision 2 active shutter glasses and it also does not feature a built-in IR emitter for the 3D Vision glasses. This is very important, because without the built-in IR emitter you will not be able to use the HDMI interface of the monitor for stereo 3D, even if you connect an external IR emitter to your PC. Using an external infrared emitter for 3D Vision glasses gives you only the ability to use the monitor in stereo 3D mode with a PC over the DL-DVI or the DisplayPort 1.1 interface. This means that the BenQ XL2420T monitor is more suitable for gaming in 120Hz 2D mode or using for stereo 3D content only with a PC, you should not get the T-only version of the monitor if you plan on using it with a PS3 in 3D or any other HDMI 1.4-based stereo 3D-capable devices, because you would not be able to. The HDMI interface present on the BenQ XL2420T monitor is 2D-capable only and you are of course not able to use 120Hz refresh rate over the HDMI, you need to use the other interfaces for the higher refresh rate. The BenQ XL2420TX is the more expensive version that comes with a built-in infrared emitter and a pair of 3D Vision 2 active shutter glasses, so you are ready to use the monitor in 3D mode over DL-DVI, DisplayPort or HDMI 1.4. Using this monitor over the DisplayPort interface however has some limitations based on the GeForce GPU you have in your computer, so have in mind that if your video card is based on GeForce 8 series, GeForce 9 series, or GeForce GTX 295/280/260 GPU you would still need an external IR emitter to use the monitor over the DP interface. Of course this is only related to using DisplayPort, if you have any of these older GPUs you can still use the built-in IR emitter over the DL-DVI interface. If your GPU is any newer you would be able to take advantage of the DisplayPort 1.1 connectivity with the built-in IR emitter inside the display. And one more thing, currently NVIDIA 3D Vision Surround setups are still not supported over DisplayPort, so if you plan on using a three monitor 3D setup, then you’ll have to stick to using the Dual-Link DVI interface for now.